The modern world is a hostile, stressful environment. We run ourselves ragged trying to keep up without giving into crushing fatigue. The world shows no sign of slowing down, so we do what we can to keep alert while keeping resulting symptoms of anxiety and depression at bay. Our culture relies heavily on coffee, energy drinks, and other stimulants to keep up, however, many people wonder if there is a healthier, more natural alternative to these harsh, acidic drinks. For years, Soviet scientists believe they have found in the answer in the yellow flowering herb rhodiola rosea, using it as a tonic to improve cognition, boost focus, and fight fatigue. Word about rhodiola rosea has spread around the world leaving us to wonder if this miracle herb could be the secret to success, giving us an edge in the rat race. What about the side effects? Does this stimulating herb come at a price? Lets weigh the benefits against the risks and see if rhodiola rosea is the right supplement for you. There is another Rhodiola herb (same genus) called Rhodiola crenulata. It is not as widely researched as Rhodiola Rosea. However, some of the research I have found suggest Rosea is the better herb for energy purposes and lowering blood pressure. (4,5) Rhodiola crenulata may be better for anti-cancer purposes but there is very few studies at this time. Hailing from the arctic regions of Europe and Asia, Soviet scientists have long believed that rhodiola rosea helped make life these harsh climates more manageable. Rhodiola is also called golden root, pink root, rose root or hong jing tian (Chinese). Anecdotal evidence and many experts have found rhodiola rosea offers many health benefits to those looking for a little boost in their daily functioning. There are 2 components thought to be active part of Rhodiola extract. Rosavins and Salidrosides are believed to possess the beneficial aspects so any extract should be standardized with those components in mind. More recent thinking shows that Salidroside is the more important and active component of Rhodiola. Most research done has used 3% rosavin and 1% salidroside versions of Rhodiola extract. It is a natural energy booster. 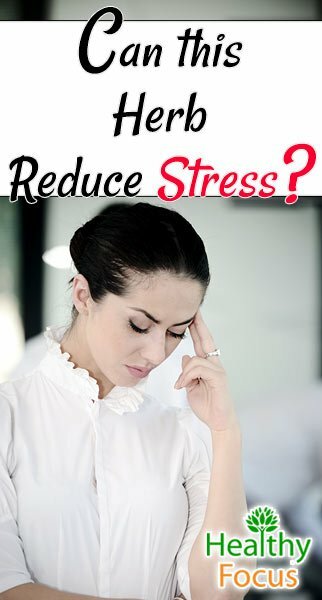 Several studies have shown it to be effective in helping people with “stress-related fatigue”. Even if you are feeling good, research has shown Rhodiola intake can improve endurance exercise performance. Research has found that by taking rhodiola rosea, you can help combat “burn-out” that accompanies mental and physical exhaustion. Students cramming for an exam, night-shift workers may find this supplement especially useful, as it known to improve one’s ability to produce high-quality work. By taking rhodiola rosea, you can boost your stamina for low intensity exercise. In one study, rats were given rhodiola rosea before partaking in a swim test. The study found that the rats given rhodiola rosea were able to swim 25% longer before experiencing exhaustion compared to the rats not treated with rhodiola rosea. Rhodiola can help with weight loss, specifically it fights belly fat! Rhodiola lowers blood sugar and cortisol levels and helps your body activate “Hormone-sensitive lipase” (HSL), allowing your body to access and burn the fat stored in the mid-section. There is no way around it, stress is a daily fact of life, and how we respond to it not only determines what kind of day you’re going to have, but also the overall quality of life. The effects of stress take its toll on our bodies physically and mentally, so it’s important to adopt effective strategies for coping with stress. Rhodiola rosea may provide some relief. Considered an adaptogen like ginseng, rhodiola rosea contains a substance that helps regulate the body’s physical response to stress, allowing us to keep our cool in stressful situations. Rhodiola reduces the total amount of stress levels by controlling cortisol levels. Yes, cortisol again is the culprit. Some cortisol is good but excessive levels, which typically are caused by stress, can lead to binge eating, increased abdominal fat and a lower functioning immune system. Rhodiola rosea is known to benefit mental performance and mental health. Some studies have found that rhodiola rosea increases focus and reduces mental fogginess. Multiple studies using a proofreading test found that by taking a single dose of rhodiola rosea (300mg) significantly decreased the percentage of errors made, most notable during an eight-hour period. Early research suggests that people suffering from Generalized Anxiety Disorder may benefit from rhodiola rosea due to its ability to improve overall mood and manage the body’s response to stress, as mentioned above. Rhodiola rosea’s popularity as a supplement is mainly due to its ability to alleviate mild to moderately severe depression. This sunny colored herb works by boosting serotonin levels, a savior to those battling Seasonal Affective Disorder, common to people living in Northern European countries. Many people find rhodiola rosea to be a great natural alternative to fight depression. Now, a recent research study is finally putting some hard science behind the fighting depression claims. Previous studies suggest Rhodiola enhances mood by stimulating dopamine and serotonin levels in the brain. Researchers from the Perelman School of Medicine at the University of Pennsylvania conducted the latest study. The researchers compared Rhodiola’s anti-depressant effects to those of sertraline (brand name Zoloft), and a placebo. The study took place over 12 weeks and included 57 mild to moderately depressed adults. The individuals were given either the drug Sertraline, a Rhodiola standardized extract or a placebo. After 12 weeks the Rhodiola group improved 140% over the placebo group while the Sertraline group improved 190% over placebo. About 63 % of users in the drug group reported side effects compared to only 30% in the Rhodiola group. The researchers concluded that Rhodiola might have a better risk to benefit ratio vs the conventional drug sertraline. Of course, as always, more studies need to be conducted but this is encouraging news. Breast Cancer may be one area where Rhodiola crenulata is more useful. A 2008 Study found that Rhodiola crenulata was useful in inhibiting the growth of breast cancer cells in mice. (2) It also prevented tumors from forming in the first place and did not affect other normal cells. According to WebMD several doctors believe that rhodiola can increase libido and sexual function. When taking any supplement or vitamin, there are always going to be some side effects. Many people may not experience any side effects at all while some may find that the drawbacks far exceed the benefits. Some people may feel this way with rhodiola rosea, as it is considered a stimulant and it is not suitable for all people. Taken in dose higher than suggested, rhodiola rosea can cause crankiness and irritability. Although this is a relatively minor side effect, this may negate the feelings of overall wellbeing the herb may be used for in the first place. People may experience jitters if they take rhodiola rosea during a spike in their blood sugar, so take rhodiola rosea on an empty stomach or before eating a non-sugary meal. Watch those candies and sweets! True, rhodiola rosea may alleviate anxiety in some people, however it may increase it in others. Taken in high doses, rhodiola rosea stimulates beta waves in the brain, which in some people may promote increased anxiety rather than treat it. Research at the University of California has found that dry mouth is a common side effect of taking rhodiola rosea. If left untreated, having dry mouth may result in further complications such a digestive problems and tooth decay. This side effect can be remedied with sugar-free candy, alcohol-free mouthwash, and drinking additional fluids. In some cases, rhodiola rosea can raise blood pressure. When taken in high doses or with other stimulants such as coffee and other caffeinated beverages, people may experience a rapid heartbeat leading to heart palpitations. People with conditions such as hypertension or hypotension should only use this herb under the supervision of a physician. It is advised to stop taking rhodiola rosea several weeks prior to having surgery as the supplement may thin your blood. 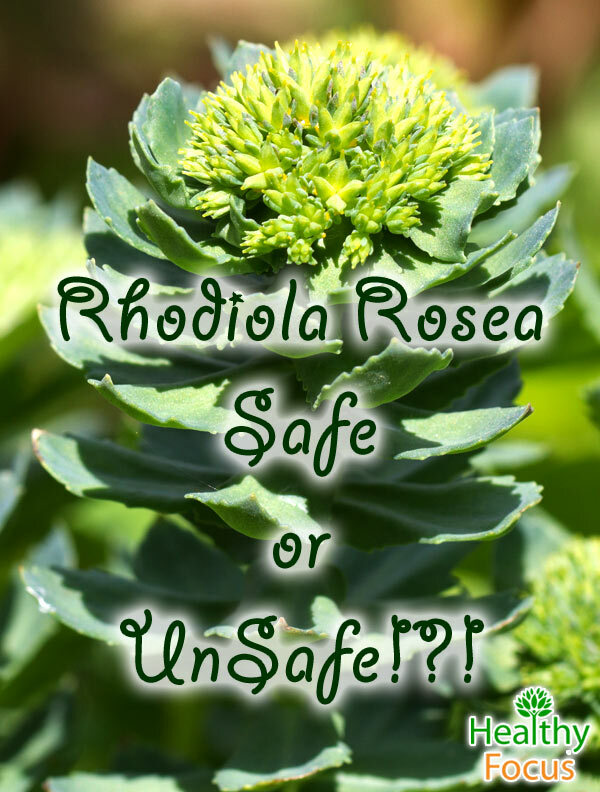 If you are taking blood-thinning mediations, consult with your physician about the safety of taking rhodiola rosea. This side effect is considered mild and may be the result of the stimulant effects of the herb. However, if you experience dizziness accompanied by chest pain, nausea, or mental impairment, discontinue use and consult a physician. Noted for its benefits in battling fatigue and increasing alertness, some people may experience insomnia as a result. It is advised to take this supplement earlier in the day to avoid any sleep issues. Rhodiola rosea has not shown to be toxic and addictive, however, when taken incorrectly, some people may increase their probability of experiencing potential side effects. To avoid the side effects mentioned above, follow dosage recommendations exactly. Typically, this is a minimum of 100 mg daily but no more than 600 mg per day. It is recommended to start at the minimum dose of 100 mg and then to slowly increase your dose over a period of 1-2 to weeks to see how your body reacts to the herb. If you start out at too high of a dose, your body will not have time to adjust and therefore may be more sensitive to the potential side effects. Dr Oz recommends starting off taking 150mg of Rhodiola at breakfast. In order to get all the health benefits, you need to have the same extract they actually use in the studies. The studies were all done with SHR-5 rhodiola rosea extract. SHR-5 is a proprietary Swedish brand that is either difficult to find in the US or discontinued. Investigating a bit more I found that SHR-5 is just “a standardized extract of rhodiola root that provides 4.5 mg of salidroside in 185 mg of extract”. The other active ingredient is known as rosavins. The suggested ratio of rosavins to salidrosides is a 3:1 ratio. So all you need is to find Rhodiola that has that same amount and ratio of active ingredients. Fortunately, this is not at all hard to find—a 500mg formula with a 3:1 ratio and 1% salidroside provides 5mg of the active ingredient used in the studies. Several brands are available in the 3:1 ratio with 5mg of the active ingredient. Prior to taking any supplement, it is important to first consult your physician. If you are already taking other supplements, again, consult your physician in order to avoid any potential interactions. Those suffering from cardiovascular disorders or are scheduled to have surgery in the next few weeks should also beware of rhodiola rosea. Women who are pregnant or breast-feeding should avoid taking rhodiola rosea until more scientific research is available. As with most supplements and herbs, there is not perfect scientific research to give a definitive answer. However, there are enough studies to suggest that most of the reported benefits are based on facts. Additionally, anecdotal evidence and experts opinions believe that when taken carefully and correctly, rhodiola rosea is indeed a great natural way to boost mental functioning, stamina, and depression.